The British Alpaca Society National Show 2016 was held at the Telford International Centre on the weekend of the 5th and 6th March. We had upgraded to be Gold Sponsors of the event this year, and thus had rather a lot of promotional material to pack as well as our show team of sixteen. With twelve of the team being in the junior category, we had a very cute looking pen. 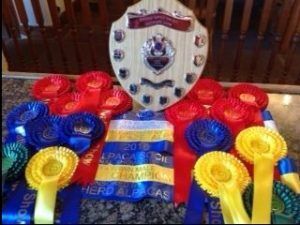 We were awarded 8 x 1st places, 4 x 2nd places, 3 x 3rd places and 2 x 4th. 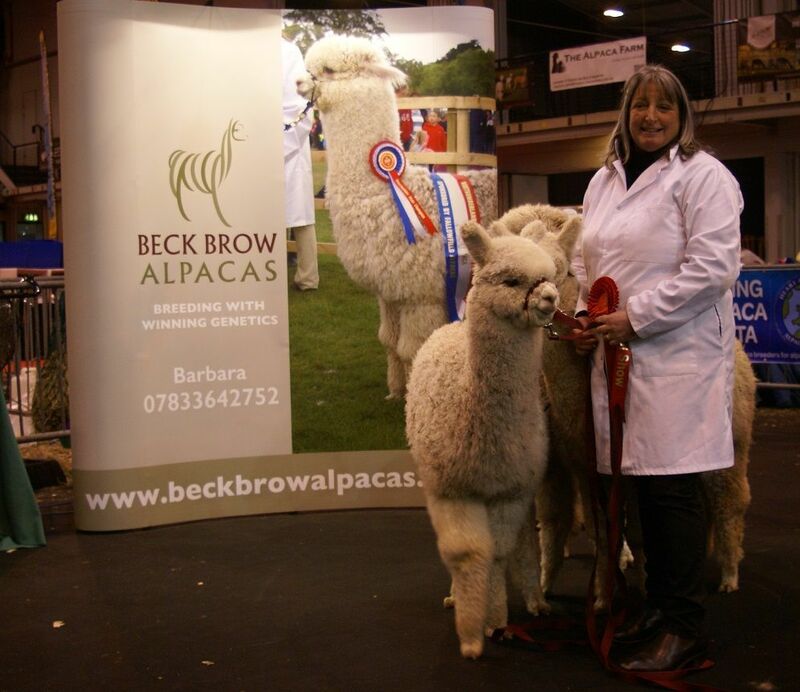 British Alpaca Society National show 2016 – Beck Brow Team winnings! 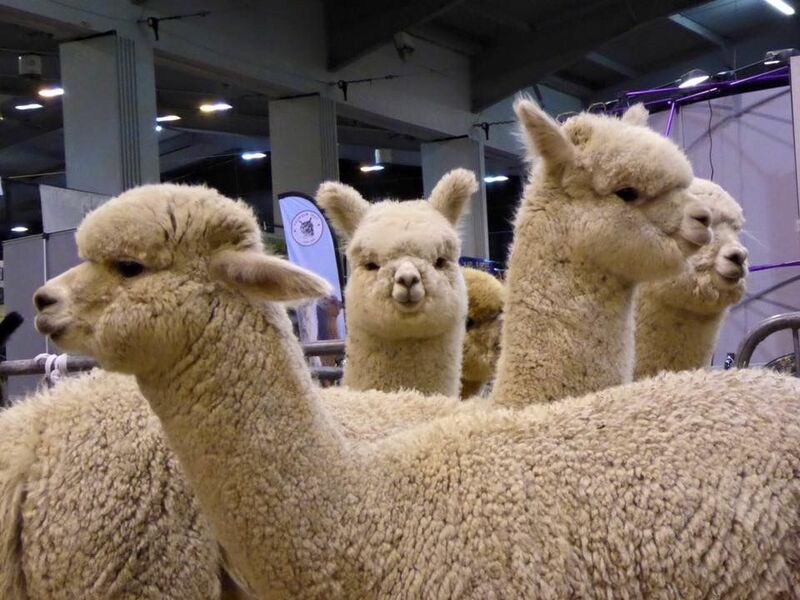 A great weekend with Beck Brow Explorer (white), Waradene St Patrick (medium fawn), Viracocha Black Sabbath (black) and Timbertop CT Goldmine (light fawn) progeny all being placed first in classes across the colours.